Beginning this Monday (January 22), 88.5 FM/LOS ANGELES will welcome long-time 100.3 The Sound air personality Andy Chanley as the special afternoon guest host. Chanley will broadcast from 3:00-7:00 PM weekdays (PST) between January 22and February 9. Since his start in radio in 1989 on WKHY-FM in Lafayette, IN, Andy has been heard on a number of Los Angeles stations including Y-107, and as the first host of Music in the Morning on Channel 103.1 (KACD-FM), before he joined 100.3 The Sound (KSWD-FM) in 2008. 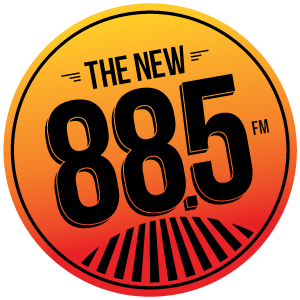 88.5 FM offers a 24-hour, commercial-free blend of rock, alternative, soul, blues and Americana as a service of California State University, Northridge and Saddleback College, Mission Viejo. It features a wide range of artists such as U2, Bruce Springsteen, Jack White, Arcade Fire, Tom Petty & The Heartbreakers, Alabama Shakes, The War On Drugs, The National, Sheryl Crow, Bob Marley, and David Bowie. The station’s AAA programming is also available on KCSN and KSBR 88.5 HD1 channel, via the 88.5FM app, and online at www.885FM.org. This entry was posted in Press Releases, The New 88.5 FM. Bookmark the permalink.